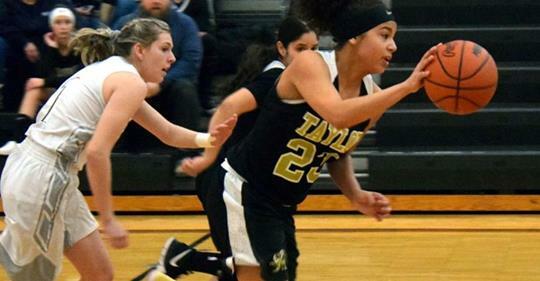 Downriver League action continued on Friday in girls' hoops as Taylor traveled to Dearborn Edsel Ford. Taylor took care of the DRL newcomers in their first meeting of the season back on Dec. 14, winning by 10 points at home. This time around, the visiting Griffins used a second-half surge and reached a new season-high in points to down Edsel by a final of 64-44. Taylor (3-9, 3-6 Downriver League) got off to a fast start, racing out to a 20-5 advantage before the end of the first quarter.